Our Crew Pass is a great way for you to gain valuable insight from industry professionals and network with others in the field. Access to all of the educational components throughout the IFL weekend are included all at an affordable entry rate; panels, workshops & showcases! NOTE: Our Pro LOOP Series, Opening Moonlight Cinema and Closing Award Ceremony are not included. A Director or Producer Pass must be purchased or tickets can be purchased separately based on availability. READY TO SUBMIT YOUR WORK TO SHOWCASE? If you are looking to submit your work for showcase and competition consideration, you can save by purchasing the Director’s pass. Make sure you register before the next deadline date hits and the cost goes up. *Registration Deadline dates: May 21st, June 12th, June 26th, July 10th, July 17th 2016. The prices on all passes go up after these select dates. NO REFUNDS. NO EXCHANGES. NO RESALE. ALL RIGHTS RESERVED. Ready to showcase your work in front of industry professionals, producers, directors and more looking for talented individuals? Students currently enrolled in school with a valid ID may receive a discounted rate on our Crew Pass to enjoy the IFL weekend! Get access to most IFL events, panels, workshops & more at an affordable rate! Opening night, keynote and general workshops are included and is a great way to network with other industry professionals. This pass is our most popular with advanced seating to all events, workshops & panels. Free submission of work for showcasing & competitions. 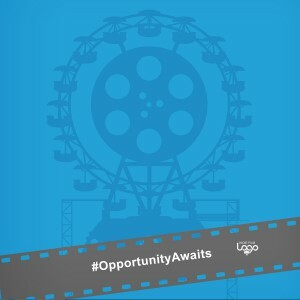 An Official IFL #OpportunityAwaits T-Shirt and more! The Producer's Pass is the VIP of passes with All Access to sponsors and partner rooms, "One Shot" Cinematography production workshop, advance seating, Opening & Closing events, an Official #OpportunityAwaits T-Shirts and more!